The Best Buddies Jobs program represents one of our organization’s four key mission pillars, Integrated Employment. This program secures jobs for people with intellectual and developmental disabilities (IDD) allowing them to earn an income, pay taxes, and continuously and independently support themselves. 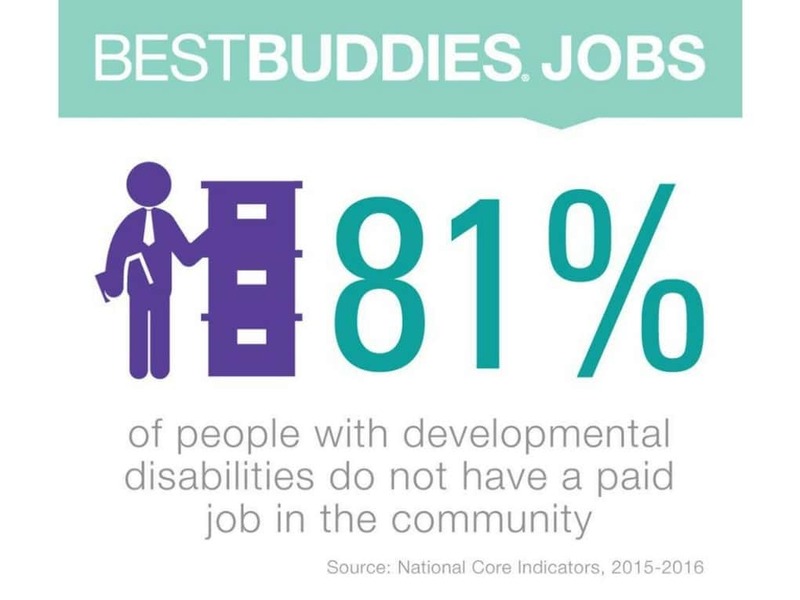 Best Buddies Jobs matches skilled and qualified individuals with IDD with business seeking enthusiastic and dedicated employees. We focus on placements beyond the typical job in which a person with IDD might be placed. 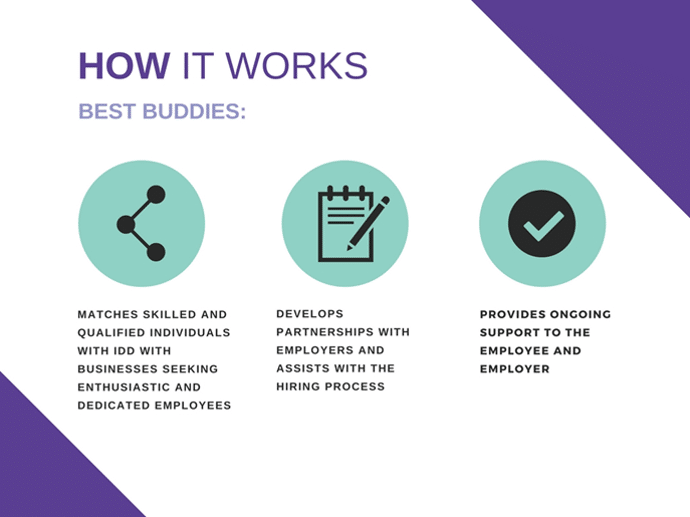 Best Buddies focusses on finding work that matches the job seeker’s interests and talents and develops partnerships with employers, assists with the hiring process, and provides ongoing support to the employee and employer.